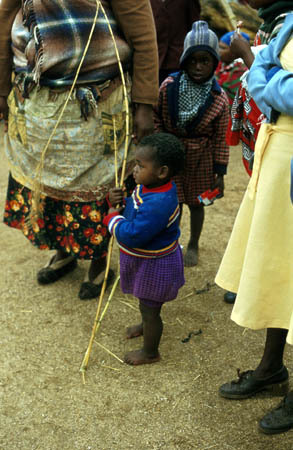 Lesotho and Swaziland: are both kingdoms, enclosed within the borders of South Africa (Swaziland also shares some border with Mozambique), both with special experiences on offer. Go on horseback in the mountains of Lesotho, the only country in the world where no point is lower than a 1000 metres above sea level. 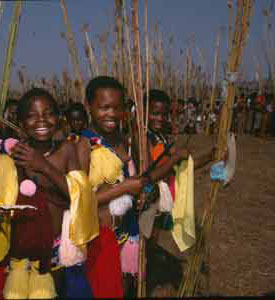 See the Reed Dance in Swaziland, end August/beginning September (dates vary annually) where hundreds of virgins parade in front of the Swazi king. Namibia, Botswana, Zimbabwe, Zambia: ”The Skeleton Coast”, the Okavango Delta, Victoria Falls – which can be experienced not only from Zimbawe but also from the Zambian side. There is a multitude of possibilities and an amazing variety. Mozambique: The capital, Maputo, is slightly more than 200 km (130 miles) from Nelspruit. North of Maputo you will find “endless” magnificent beaches, some of them still without any trace of development. Fishing and diving in pristine waters. But do not hesitate too long if you want this experience, development is continuous. We have lived in Mozambique for six years and speak Portuguese, the official language. We also cooperate with Mozambican tour operators.